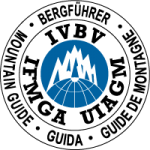 The Western Alps have a huge variety of ice venues at all altitudes. Within easy reach of the Chamonix valley is the mecca of the Aosta valley. 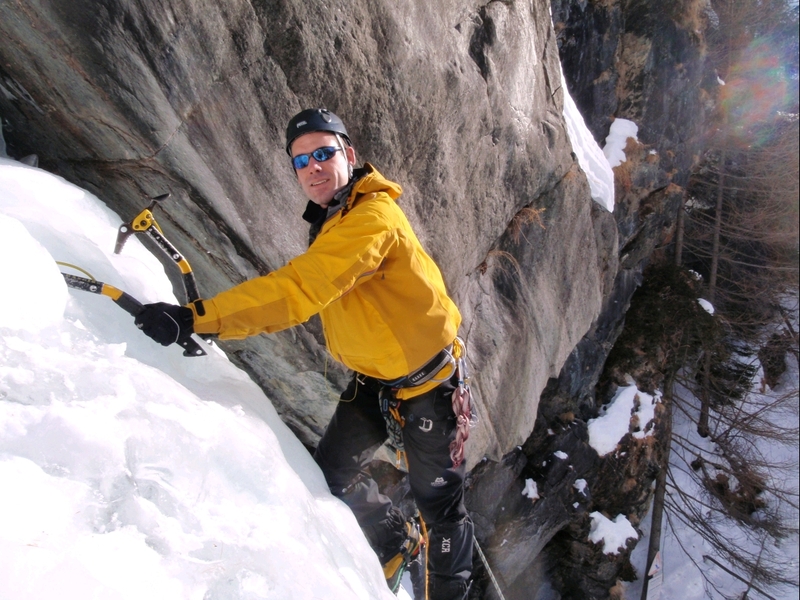 Cogne is now famous throughout Europe and beyond for its quality ice climbing. Situated high in the Gran Paradiso Nature Reserve the cool air from its glaciers flow into the many valleys to form ice. The area has been well developed and many of the cascades have reliable belays to ensure quick climbing and easy descent. Easy access (from almost roadside to perhaps 2 1/2 hours) along picturesque valley floors are typical here. Sometimes approach skis or snow shoes are helpful but by no means essential. We stay in the superb Hotel La Barme where the hospitality is superb. Situated at the head of Valnotey you simply can’t be better placed for the cascades. Great Italian food, sauna and jacuzzi are some of the additional benefits! In the past clients have enjoyed both climbing hard routes as well as instruction. If you are looking to lead yourself under the guidance of a Guide then this area has many options. In Scottish terms the climbing here ranges from sustained grade III to hard grade VI. If you’ve climbed things like Comb/Green/Point Five Gullies then you will probably love it. We climb here from January to February each year. Day 1. Meet in Chamonix and drive through the Mt Blanc tunnel. There are cascades on the way to Cogne – some forming down natural stream beds and flowing over the road tunnels themselves. We climb one of these revising technique for the week and looking at descending on ice. Day 2. Walk from the hotel to the classic ‘Patri’. This reliable icefall has two finishes: left and right hand (4/4+). The right hand branch forms into a sustained wall and pillar, if going well we can climb both. Day 3. Drive to Lillaz, a little way down the valley. Today we climb the popular Cascade de Lillaz. At WI3 it is the best route of its grade in the valley. There are many harder variations if you are looking for a challenge and it is well suited to learning to lead or coaching technique. We may stop in Cogne for celebratory coffee and biscotti on the way back to the hotel. Day 5. Staying in Valnotey we climb one of the classics today. Either Monday Money 4+ or Flash Estivo 4. These are reached in a pleasant two hour walk through the valley bottom passing summer villages. On the way to these routes we check out the classic big 6 of the valley: Repentance. Day 6. Early start this morning! Repentance was in good condition yesterday and the temperature looks good for climbing it (not too hot and not too cold!). The climb is there, will you be?